One of the most important decisions you will make concerning your vacation home rental is determining what price you will charge. Charge too much and you reduce the number of times your home is booked, charge too little and you leave money on the table. Price may also affect the quality of your renters too. We mentioned this already in our article about Making Money From a Rental but I wanted to touch on it in more detail in its own article. Browse to www.tripadvisor.com, www.airbnb.com and www.homeaway.com. Utilize the map feature of each of these websites to focus on the immediate vicinity of your home. Try to keep your search radius as small as possible to reflect your competition in your specific area, but in rural settings or areas of low competition you may need to extend your search radius to as much as several miles. Take note of nightly charges for similar listings around you and calculate the average nightly price for these spaces. 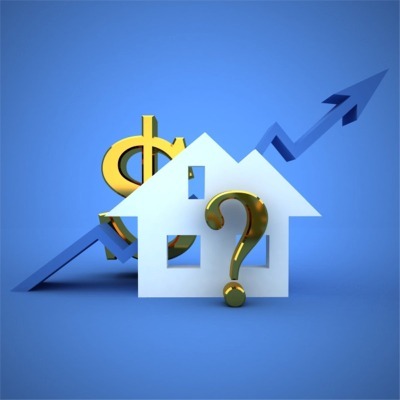 Take note of fluctuations in weekly pricing, holidays and seasonal periods. The average price you calculate should be the starting point for setting your rate. FlipKey and Airbnb offer hosts price suggestions based on expected travel patterns. Airbnb calls it "SmartPricing." Some people have found this to be very helpful in determining price. Play with this feature and, over time, you will be able to get a feel for your market and will be able to set your rates competitively. Also, don't worry if the websites indicate a price that you feel is way out of the ordinary. Use the price suggestion as a tool. Obviously if you list a price that is on the high end you will receive fewer bookings. Go for it if your goal is an occasional guest for spare money. I was researching for a client recently and found a comparable house that charge 2 1/2 times more than the going area rate. They had an occasional booking and according to their biography they seemed very happy with that quantity. I know several hosts who book for only a few days a month and then block off their calendar. If you intend to furnish your house with cheap furniture and mattresses then don't expect to be able to charge high prices without getting poor reviews. The higher the nightly rate, the higher expectations your guests will have. If you paid the price for a 5-star hotel you would expect 5-star service. Your guests, and rightly so, will expect the same. Hosts who list their digs too low hurt themselves by losing money. Furthermore, pricing too low drags the price of listings around them down which ultimately hurts the entire rental community. Some new hosts will initially lower their price to get some reviews under their belt. There is nothing wrong with this strategy, just be sure to raise your price after a few reviews so you do not keep losing money. In addition to increasing or decreasing the frequency of reservations, price may also dictate the quality of your renter. Higher prices will limit the ability of many people to afford your home resulting in the arrival of wealthier clientele. While there are millions of really wonderful wealthy people, as a whole you may find the wealthier clientele to be more demanding and expectant of a nicer home, furnishings and location because that is what they are used to in their personal life. Wealthier people may also provide you with lower ratings if you do not match their higher expectations. On the reverse, prices that are too low may bring in the bargain hunter who simply wants a cheap dig and does not care about taking care of the place. Finesse your price to develop the clientele you desire to cater to. I already mentioned it a couple paragraphs up, but supply and demand bears repeating. Many areas have seasonal travel periods. You will do well to maximize your income during peak travel times so you have the money to cover expenses during slower times. An excellent example of seasonal travel is Alaska. During the summer months you can expect to pay as much as four times more for a room than during the winter months when most rooms sit empty. Some small hotels even close in the winter and live off of their summer earnings. Maximize your bookings and income by changing your prices to meet supply and demand for different times of the year. Remember to set your prices months in advance before the bookings for that season starts. While determining your price is crucial to the success of your business, in most cases choosing a wrong price is easily fixed. Listing sites do not show a price history to guests. The future potential guest has no way of knowing if the price they are paying is what previous guests also paid which makes changing prices very easy. Don't be afraid to adjust your rates daily to keep your house rented. Some hosts increase their prices when they have a night available. I tend to decrease my price to a minimum amount and keep my home occupied.